Well by now you know you should not expect the usual list of gift ideas for your boys and girls from me. My lists will skew toward the cool, new and/or high-tech. I'm probably not going to dive into that new tricycle for your toddler unless it comes with OnStar location services! But that said, let's look at what cool things a kid can ask for this holiday that I wish was around when I was a little one. What about a "pre-holiday" gift to really get the holiday spirit going? 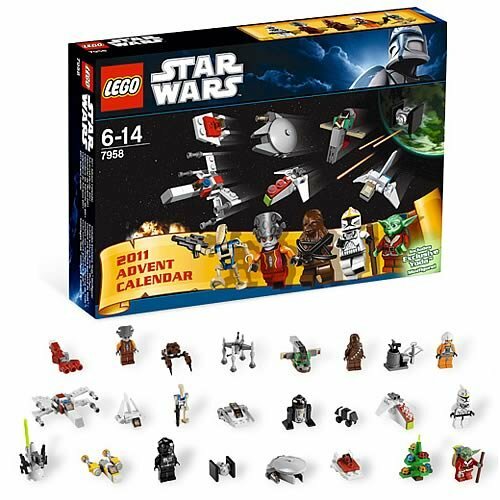 What about this great countdown LEGO STAR WARS Advent Calendar ($45)! And if the child you are buying this for is not a Star Wars fan...but I would question "why not?" Haven't you been watching the new Star Wars Clone Wars animated series? It is a great series that both adult and kids can get into...as long as you don't mind a few clones dying here and their. Anyway, back to the topic at hand. If, they are not Star Wars fans (still hard to write that), you can also consider this other very cool LEGO City Advent Calendar ($35). I know the kids that I've gotten these LEGO calendars for over the years really enjoy the countdown and simple daily LEGO building projects. 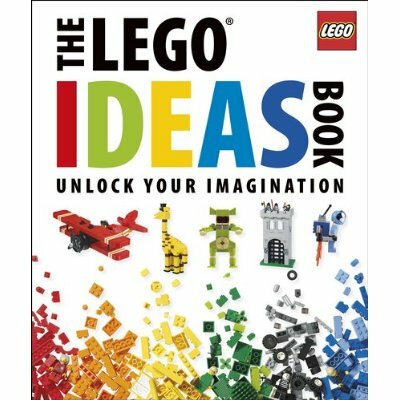 And if you have a true LEGO fan in the household, the LEGO Ideas book ($15) would make a great gift. Now be forewarned, this is a beautiful picture book to give your kids some inspiration but for the most part there is NO directions on how to build these amazing constructions. The book does feature all-new LEGO building projects, tips to supplement and enhance your LEGO creations, inspirational buildings, and expert advice from LEGO Master Builders...it is a truly inspiring book for any LEGO architect in your family. 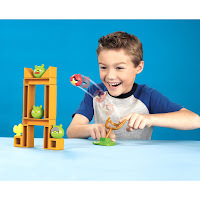 What would a kids gift list be in 2011 without some Angry Birds items? 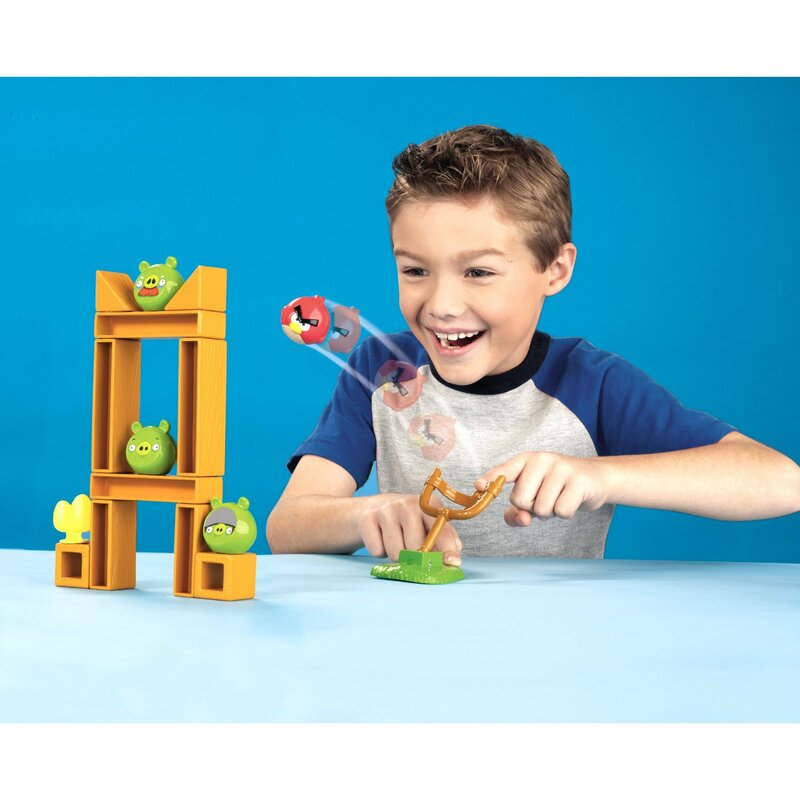 And at the top of my list is the Angry Birds: Knock on Wood game (less than $30)! 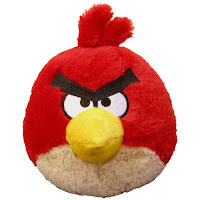 This is NOT a game app for your smart device like an Android phone or iPhone but instead brings the destructive powers of those Angry Birds to the real world. This is a great little tabletop game of flinging birds at a wide assortment of pig constructions. Hours of fun...just look at the picture to the left! And if all that violence and destruction is unsettling for you...perhaps a nice soft 8" Plush Angry Bird (less than $15)? If you have a Xbox 360 and haven't gotten a Kinect controller ($150) for it...get it. This is a peripheral that allows you and your kids to use your entire body to control the game. There is a slew of new titles coming out this holiday and definitely worth adding to the list. If you haven't got a 360 for your kids...why not? This is a great system and there is some amazing titles already available with new ones still in the pipeline. You can purchase the Xbox 360 console system w/Kinect ($400) as a bundle but I might have a hard time recommending getting the full system as we will probably see a new platform within 12-18 months. But there is a very solid line-up of titles that take advantage of the Kinect and make for some great family-time, multiplayer gaming...Just Dance 3, Kinect Sports: Season Two, Sesame Street: Once upon a Monster, Eden and Fruit Ninja. 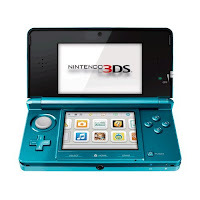 A gaming console I can recommend is the Nintendo 3DS ($170). This new system was introduced this past spring and is continuing to build up a very viable line-up of portable gaming fun. The 3DS was the first portable gaming system to feature a 3D display with a slider that allows you to adjust the focus/depth for your eyes. You can even turn off the 3D effect...something I recommend as the displays are stunning without the 3D and the game will actually run at a faster frame-rate and smoother animations. I personally play with little or no 3D. Some games add a nice level of depth to the image with the 3D on. Some games worth checking out include The Legend of Zelda: Ocarina of Time 3D ($40), Super Mario 3D Land ($40), Mario Kart 7 ($40), Pokemon Rumble Blast 3DS ($35), Star Fox 64 3D ($40)...are you catching a pattern here? All the hot titles are Nintendo developed. But there are some very nice 3rd party titles as well including; LEGO Star Wars III The Clone Wars 3D ($20), Super Street Fighter IV: 3D Edition ($20) and coming out in December is The Adventures Of Tintin: The Game ($40). You also have access to all the new DS games (without 3D) such as the latest Professor Layton and the Last Specter ($30), Kirby Mass Attack, Let's Draw ($20) and the incredibly amazing Super Scribblenauts ($30). If you are looking for additional recommendations for the best videogames to gift your kids/friends/family, be sure to check out my Fall 2011 Top 10 Holiday game preview. 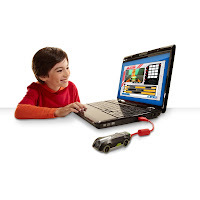 Stepping back into the real world again, some other cool toys include the new Hot Wheels Video Racer Micro Camera Car (a little over $50) series. These high-tech little new cars capture footage from the car's perspective as it races down the track and let the kids play back the video on a small LCD on the bottom of the car or download the footage to their Windows PC to edit the action with the included application you can download. For those of you with a Macintosh computer (isn't that everyone now? ), the car when hooked up via USB appears like a regular camera on the computer and the video is transferable but you will need to use your own editing software. The cars store up to 12 minutes of footage before needing to be transferred. 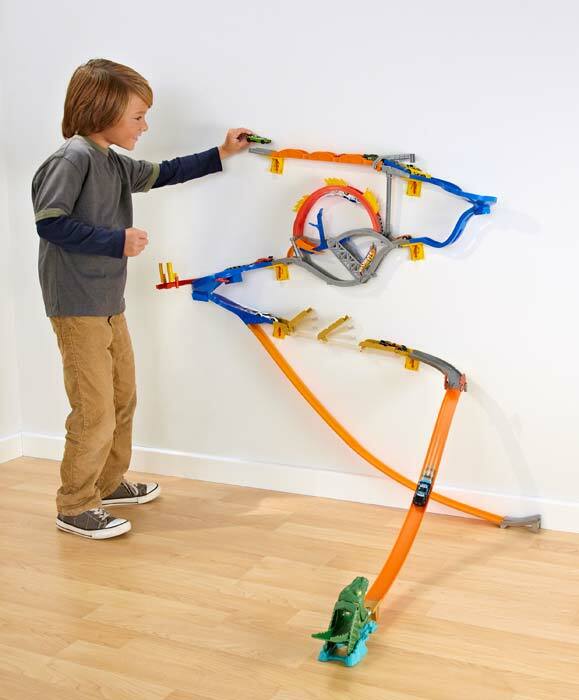 Of course if you have a cool, new Hot Wheels car...you'll need some cool new stunt tracks to go with it and make some neat videos. 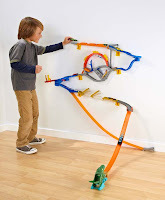 Mattel has a new series of Hot Wheels Wall Tracks ($55) that are ingeniously adhere to the wall using 3M's Command Strips that hold the tracks in place while also not damaging the surface. If a toy car is too mundane for you, how about the coolest, easiest to fly indoor helicopter I've ever used? Check out this Syma S109G Apache AH-64 (less than $30) indoor helicopter. It is amazing to see this little guy that will fit into the palm of your hand hover, turn and fly around with easy. Now Activision is really playing up their Skylanders Spyro's Adventure Starter Pack ($70) but I am having a hard time recommending this as it feels like such a gimmick. 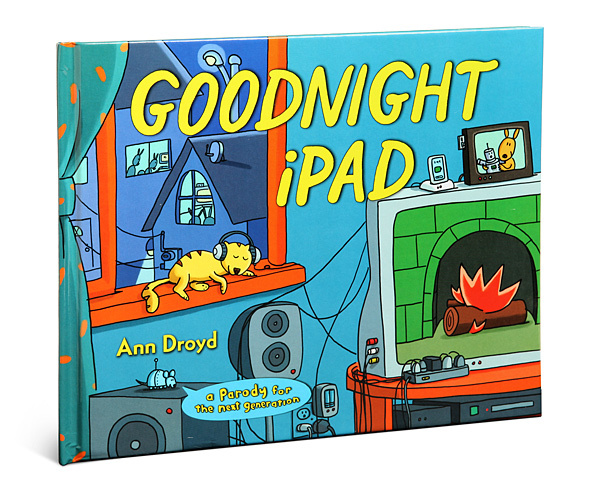 I just feel the product lacks some depth but on the opposite side I am sure kids will love it. 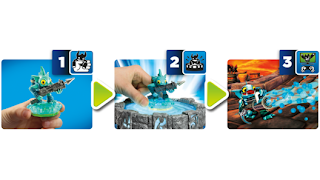 This is a crossover product that combines little toy figures and a videogame. 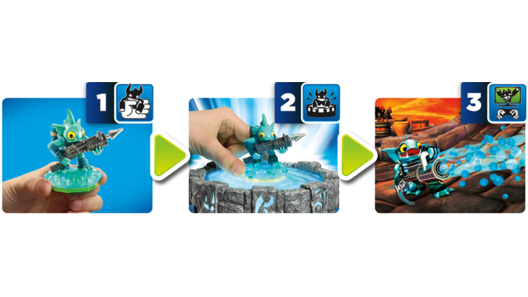 The starter pack gives you a copy of the game for your favorite gaming console (Microsoft Xbox 360, Sony PS3, Nintendo Wii and Nintendo 3DS, PC or Mac...make sure you get the right version for your gaming console), a "Portal of Power" adaptor to hook to your gaming device and three Skylanders figures. The figure connects to the console through the included Portal of Power adapter and your character shows up in the game. Take the figure with you to your friends because all the game data is saved inside the character. If you have played a Spyro game before, they are usually pretty decent action/adventure games and this one focus on the multi-player aspects of all the collectible action figure characters. 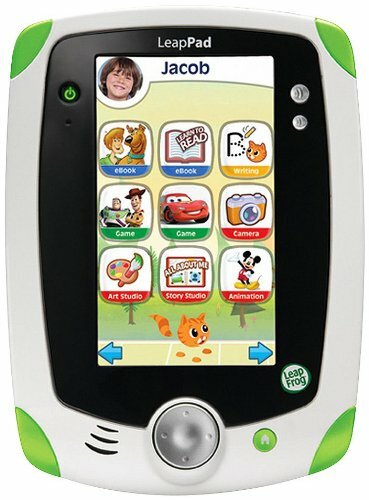 I previously wrote-up about the introduction of a new Toys R Us Nabi ($200) tablet computer that is coming out in December. There is also a new LeapFrog LeapPad Explorer Game ($100) system that is a starter tablet for ages 4-9 available in both green or pink. It includes a built-in camera and video recorder, 5" touchscreen that works with fingers ro included stylus, four apps (Pet Pad, Story Studio, Art Studio and one app of your choosing). Compatible with a library of 100+ LeapPad Explorer games and applications. But if you want to be the "ultimate holiday giver", you can not go wrong with an iDevice. On the top of the Nielsen's kids most wanted tech for the holiday poll (ages 6-12) is the Apple iPad ($500+), iPod Touch and iPhone taking the top three positions. 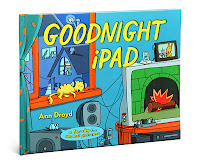 Apple iPad...clearly the best holiday gift for any good girl or boy! I am still looking for more great gift ideas for kids. Please feel free to share in the comments below if your kids have their eyes on something I haven't considered. Also be sure to comment below and share your experiences with Nabi, other kids tech or tablets in general. You can also follow me on Twitter or Facebook.